Chicago | Reuters — Chicago Board of Trade wheat futures fell 1.8 per cent on Wednesday, its third decline out of the last four sessions, as export prospects for U.S. supplies remained dim despite crop shortfalls in key production areas of the Black Sea region, traders said. Corn dropped after earlier touching a two-week high as investors assessed the impact on crops of torrential rain in parts of the U.S. Midwest. The excess rain could limit harvest yields in some areas, limiting the declines in the corn market, although crop expectations were still massive. Soybeans also fell amid fresh concerns about the ongoing trade war with China. Wheat notched the biggest decline, with the benchmark December soft red winter wheat contract shedding 9-3/4 cents to $5.21-3/4 a bushel (all figures US$). 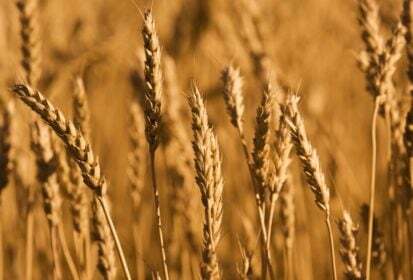 Egypt’s state grains buyer, the General Authority for Supply Commodities (GASC), bought 60,000 tonnes of Russian wheat in an international purchase tender. No U.S. wheat had been offered in the tender. U.S. rains provided moisture to soils in key growing areas ahead of planting season, adding further pressure to the wheat market. “Concerns about export demand and improving conditions for seeding winter wheat remain an anchor for now,” Farm Futures analyst Bryce Knorr said in a note to clients. But weather-reduced harvest yields in Russia and other major producing zones such as the European Union are still set to reduce global availabilities, putting a floor under prices, analysts said. “We don’t see a big downside in prices as the Russian crop is much smaller,” said Phin Ziebell, an agribusiness economist with National Australia Bank. CBOT December corn futures ended three cents lower at $3.65-1/4 a bushel. November soybean futures were down 6-1/4 cents at $8.38 a bushel. The U.S. Department of Agriculture late on Monday estimated 67 per cent of corn was in good or excellent condition, below average analyst expectations calling for an unchanged 68 per cent. The good/excellent rating for soybeans was unchanged from the previous week at 66 per cent, in line with expectations. “With U.S. crops which are virtually complete, bulls are looking to demand for the next reason to buy,” U.S. brokerage Allendale said in a note. — Mark Weinraub is a Reuters commodities correspondent in Chicago; additional reporting by P.J. Huffstutter in Chicago, Gus Trompiz in Paris and Naveen Thukral in Singapore.